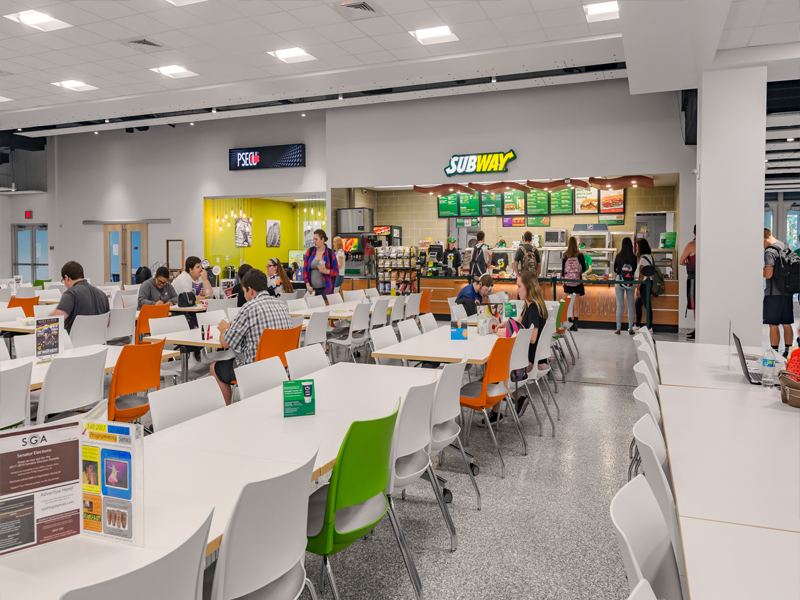 To establish a distinct new identity for the Cooper Student Center on Campus, the facility underwent a complete transformation. 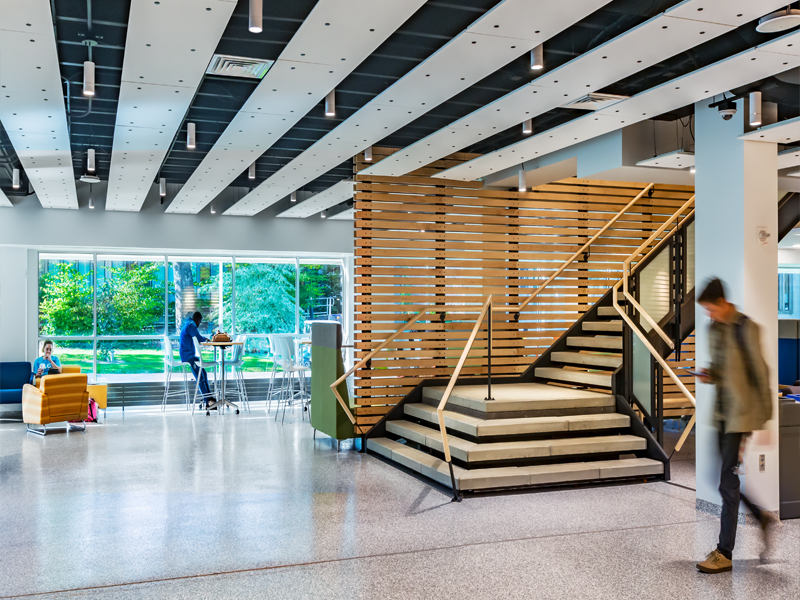 To establish a distinct new identity for the Cooper Student Center on Campus, the facility underwent a complete transformation. 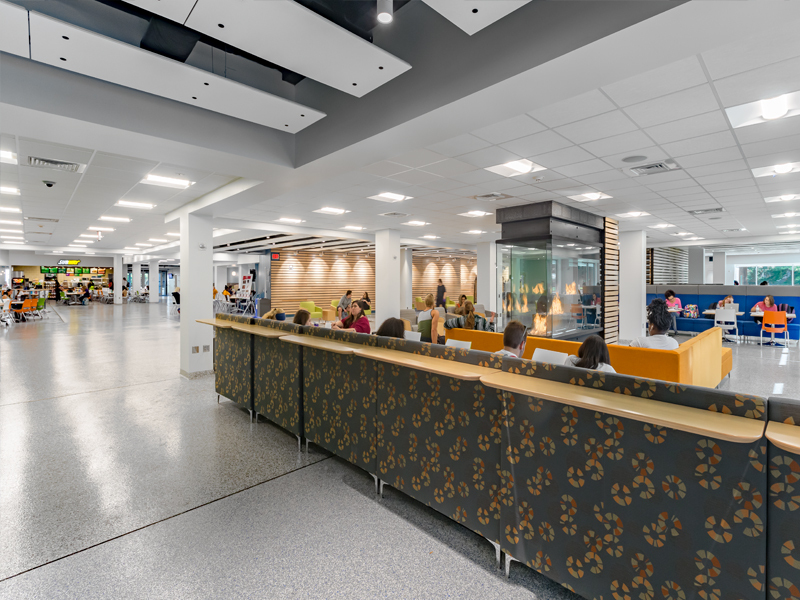 The new 67,000 gsf design responds to welcoming students and creating a more transparent environment. The goal for this new contemporary “Hub” enhances campus life, retains existing students, and provide an overall positive student experience. 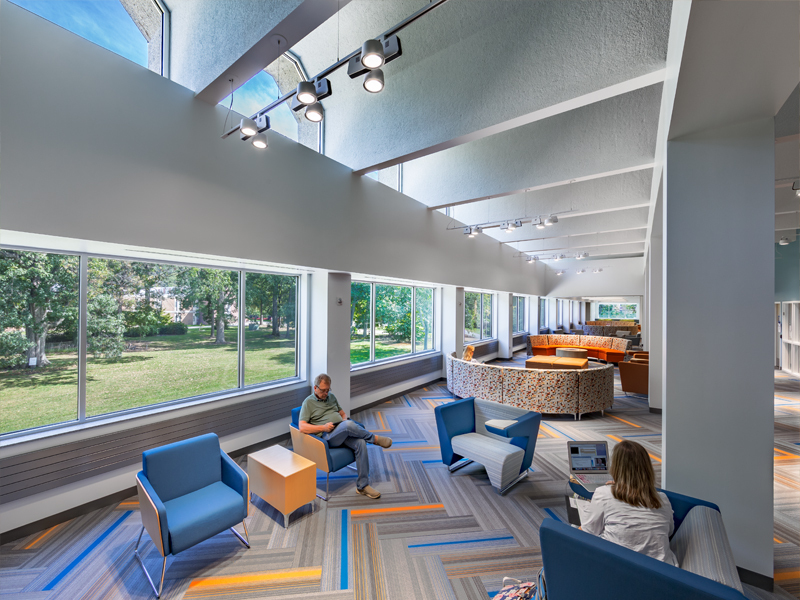 The original 1968 Cooper Student Center was designed by Murray Associates to support a student population of 7,500 but now serves over 25,000 students annually. 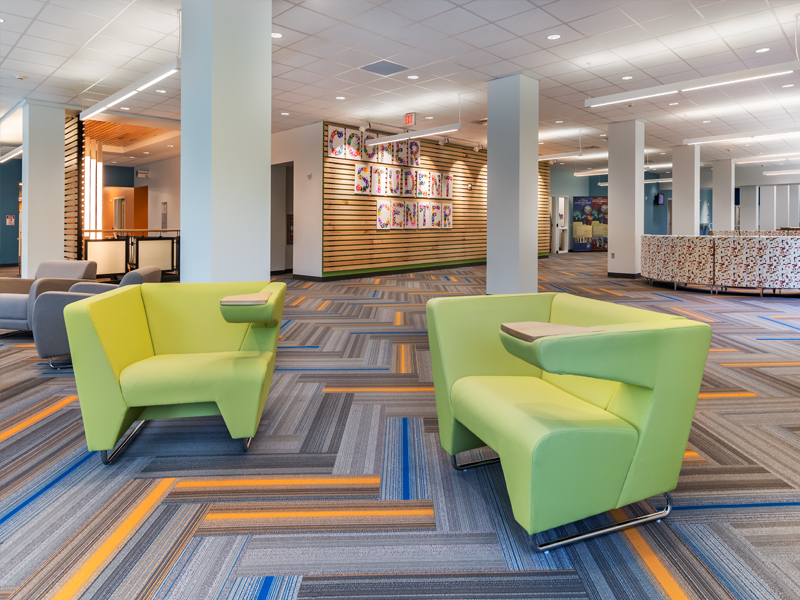 The campus center now provides central “touchdown” points between classes, access to on-campus technology, spaces dedicated to small group learning, easy access to required student services, food, and an opportunity to connect with other students. A Learning Commons, open computer labs, and student government offices are located on the second floor. 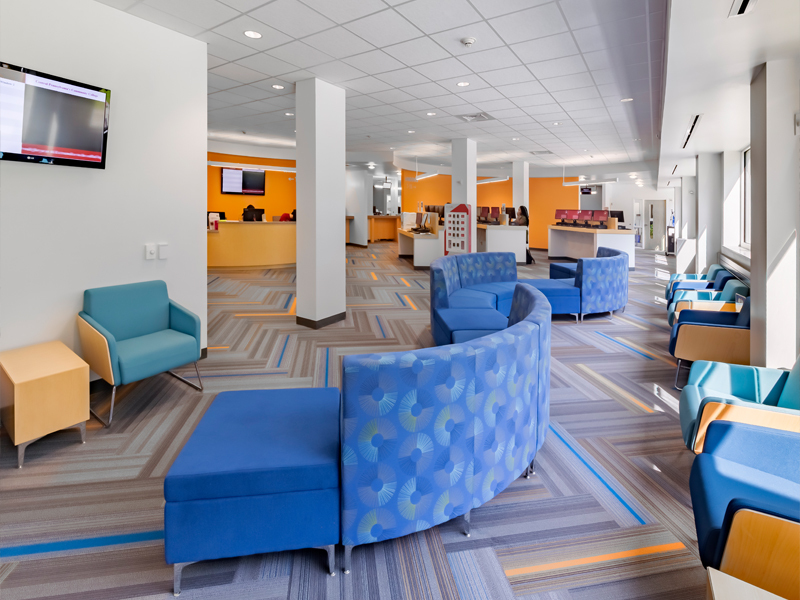 The first floor houses the Registrar and other student services in addition to lounges and a food court. 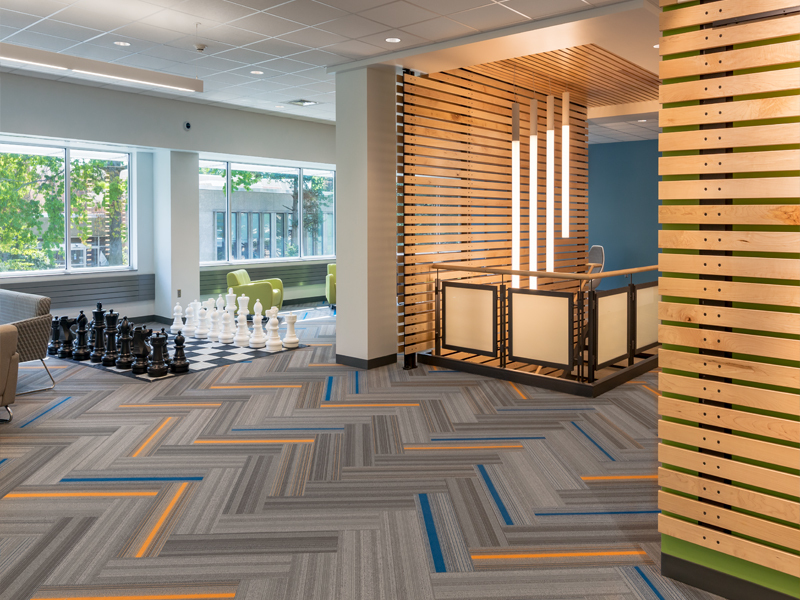 The new expanded Center creates a technology-intense student service area and multiple learning environments for small groups and individuals alike.